Oiles America Corporation is the international leader in self-lubricated bearing technology. Oiles is a technology oriented manufacturing company that continues to focus on responding to customer’s design, testing and manufacturing needs for self-lubricated bearings. 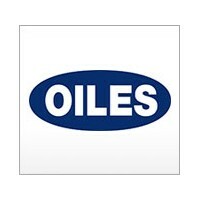 Oiles products provide superior performance in areas that require long-term maintenance-free use. OILES America Corporation's maintenance free bearing products offer cost effective alternatives to automatic lubrication systems, while freeing machine operators from day to day lubrication requirements.